Key 2 Life ® EMR Medi-Chip USB Medi-Chip Portable EMR (Electronic Medical Records) mini necklace, silver colored. 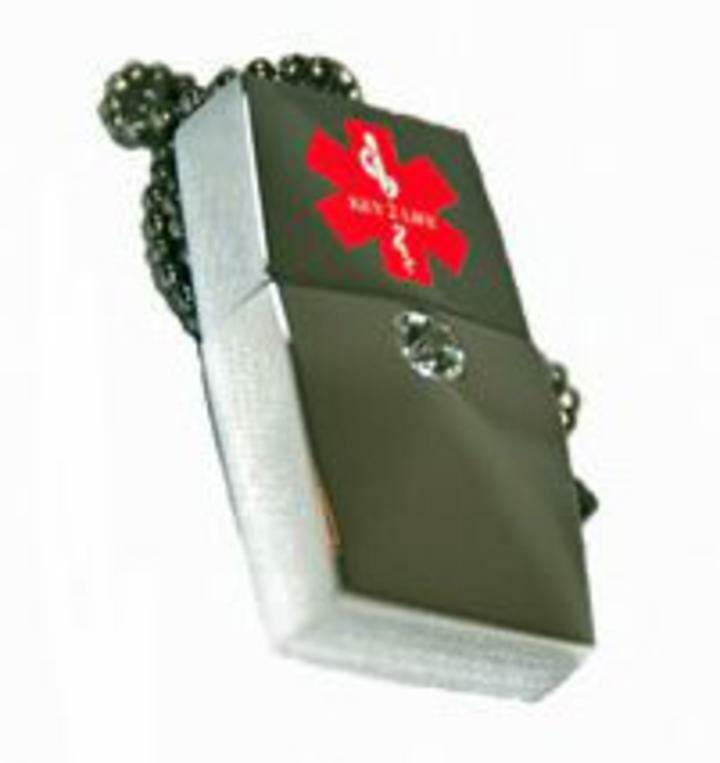 This is one fashion accessory that can save your life. It is small and fashionable with a touch of class, a Swarovski Crystal in the center. Can be attached to your key ring and it is water resistant too.